This is one of the biggest varieties, with flat, plate-like heads of deep yellow flowers held high on tall stems, with ferny foliage beneath. 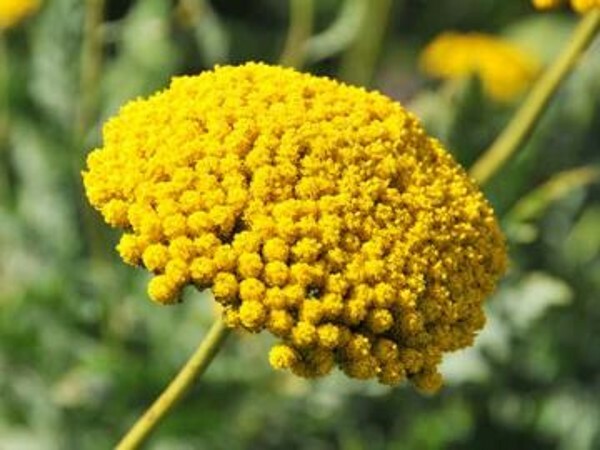 This achillea is long-lasting, and drought-tolerant, but needs a lot of space to spread out. Full sun. height & Spread 1.2m x 45cm. Good for bees and butterflies. Propagation: Divide clumps in Autumn. Soil conditions: chalky, well drained soil. Interest and use: Culinary, cutting bed, fragrance, dried arrangements or borders.